If you know anything about me and my yard. You know that I love the seasonal and festive flags. And I love my dog HUEY! Flagology incorporated both of my loves into this one amazingly beautiful flag! 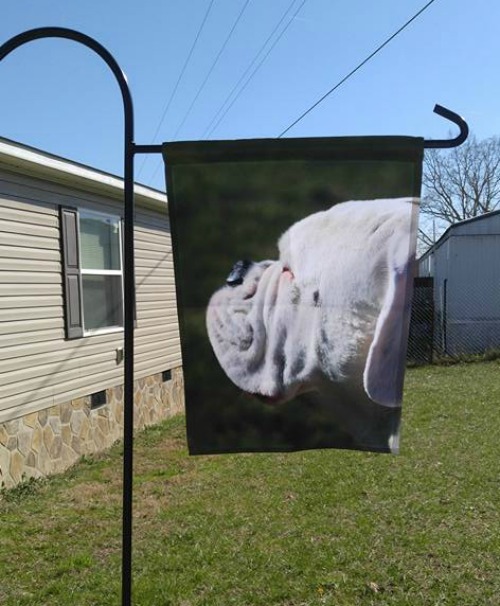 You can choose between standard garden flag (12.5”x18”) and house flag (28”x40”) sizes. 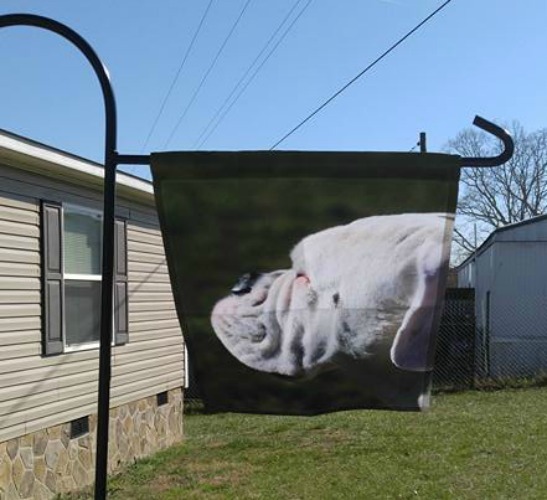 Another great thing about these flags – they are printed on BOTH sides! And if you can’t decide what you want on your flag. Never worry they will help you create the perfect flag for you and your home. 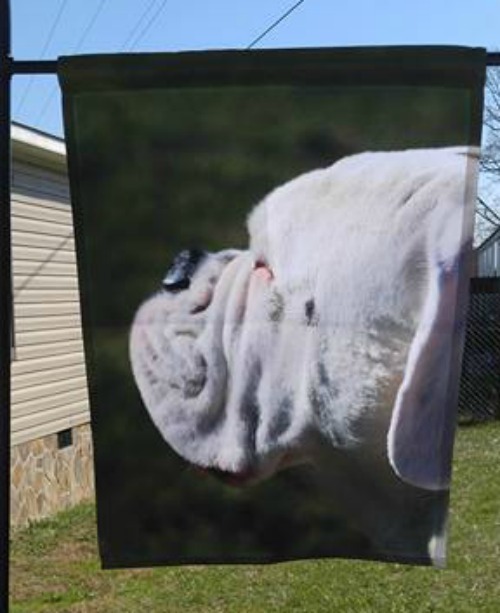 Their Flagtastic fabric will help emphasize the colors of your pictures. While the vibrant, true to life photo is printed on both sides. And if you have text on your flag the back is a mirror image. So your text will be reversed. I love to sit on my porch and watch my flags flying back and forth in the wind. And listening to my wind chimes. Another choice is their Flip-It Blocker fabric. This fabric is perfect for a flag that has lots of texts. While the image is printed on both sides for emphasis on readability ( not a mirror image ). As a result to achieve readability some color will be muted slightly. Oh did I tell you that you can make a matching doormat? Why yes that will be my next order! Because these are the perfect addition to any yard or garden, they make perfect gifts for any reason. Share your flag pictures with us. I know you will love yours just as much as I love mine. Connect with Flagology on their Website ~ Facebook ~ Pinterest ~ Twitter and Instagram.